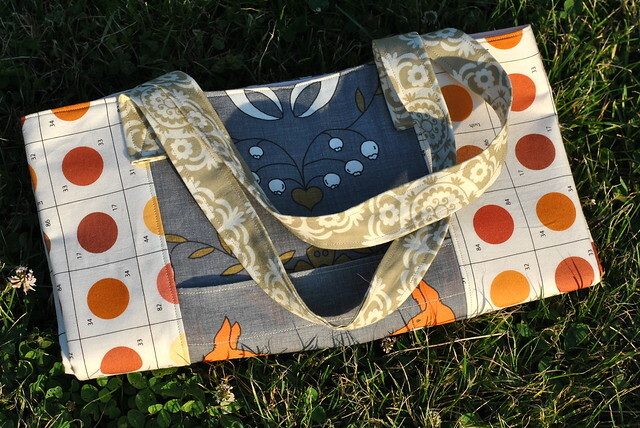 I'm guest posting at Sew Sweetness today as part of Purse Palooza 2012! 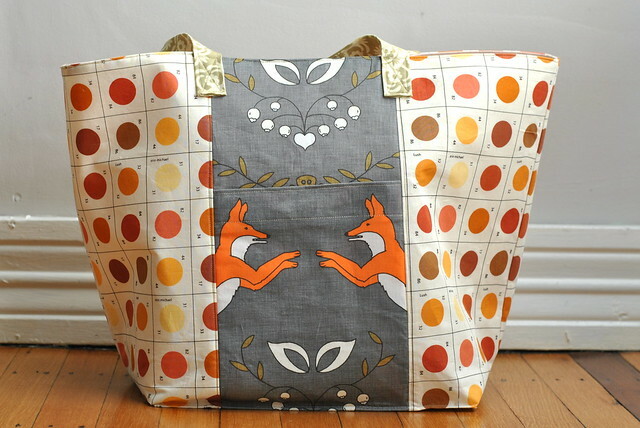 This is my latest version of the Jane Market Bag, stitched up in a print called Foxen by Holli Zollenger (available on Spoonflower) and Lush by Erin McMorris. For the handles, I used scraps from my stash, and for the lining, I used Kona Pale Flesh. Enter the daily Purse Palooza giveaway at Sew Sweetness! bag into the contest for a chance to win amazing prizes. It's going on through the month of June, so please join the fun. Thanks Sara for having me! How convenient -- the Front Range (Colorado) Modern Quilt Guild is doing a market-bag swap at our next meeting! Love your take on this bag! Oh my gosh you did this one awesome!! I love this pattern. I love the bag! Great colors!